A workshop looking at how the nation can achieve low carbon heating for the new-build residential sector is being hosted by heat pump manufacturer Mitsubishi Electric at a special CPD-accredited event organised by the Carbon Trust. Iconic London restaurant, The Ivy, has undergone a major renovation project that has taken five months to complete. 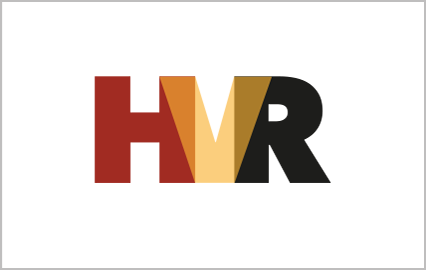 ACR Heating Solutions has many years of experience operating in both the domestic and commercial sectors; offering quality and professional heating solutions. Mitsubishi Electric has launched a new air conditioning system that delivers levels of comfort normally associated with Chiller technology, whilst providing the flexibility and efficiencies of traditional VRF (Variable Refrigerant Flow). 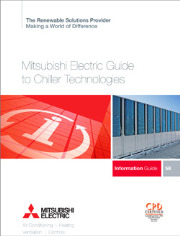 Mitsubishi Electric has launched the latest in its free CPD-Accredited industry guides with a focus on Chiller technologies and role they can play in helping reduce both energy consumption and running costs in today's buildings. Halton Products Ltd., the UK Indoor Climate Division of the Finnish based Halton Group, has appointed Mark Dawes as sales director. Kestrel Fields Primary School has undergone a complete overhaul thanks to Leicester City Council’s £27 million investment in primary schools across the area. Visitors to the exciting Mary Rose Museum in Portsmouth Historic Dockyard, just a stone’s throw from Nelson’s flagship, HMS Victory, can’t fail to be impressed by the museum’s ‘spaceship like’ modern exterior. As part of Liverpool Schools Investment Programme, funded by Liverpool City Council, St Francis Xavier College has benefited from a complete overhaul of its facilities. As it grows more in popularity every year, Marflow Hydronics’ Xterminator valve set is being used increasingly with a variety of different terminal devices, showing it to be a highly diverse product. Mitsubishi Electric is offering people the chance to win a special Ecodan thermal mug by Tweeting their own picture of an A++ to celebrate the new Energy Related Products (ErP) rating for the entire range of Ecodan heat pumps. 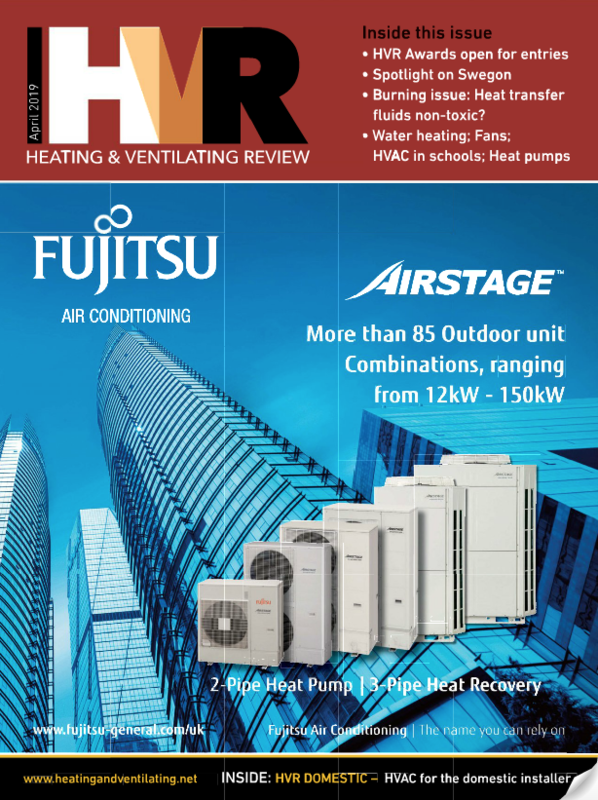 From the beginning of September 2015, Mitsubishi Electric has added a new Value Added Reseller (VAR), Gallant Air Conditioning Ltd, to its family of sales partners, expanding its coverage within the UK. The 26 September is fast approaching but it seems that many installers are still uncertain on how to calculate a system’s energy efficiency rating as part of the new ErP Directive. With its expansive range of added value services, Marflow Hydronics is able to provide customers with far more than just a complete product portfolio. GDL has designed, manufactured and installed a large bespoke screened louvre for Blackpool & Fylde college that forms the shape of a tower. TENMAT says it now has the only complete range of fire rated air valves on the market that have the appropriate testing to enable them to be installed in ceilings. When the pioneering Hebburn Eco Centre needed to replace its 20-year-old ground source heating, the building’s owners turned to a cascade air source heat pump system from Mitsubishi Electric. GDL secured the contract to design, manufacture and install x16 Intelivent Solarstore Natural Ventilation Units at the £18 million iconic state of the art sports facility in Middlesborough. The Mitsubishi Electric sponsored Ecodan boat had some very special guests at the BMW PGA Golf Championship as the nation’s most successful Olympic rowers Sir Steve Redgrave and Sir Matthew called to lend their support.